This listing is for 42 pcs. Olive Green glass pearl beads*. This listing is for a 2nd shade of Olive Green Beads. I use these beads to create lovely angels, which I use for earrings, bracelets, necklaces, key chains, and bookmarks. The possibilites are limitless! 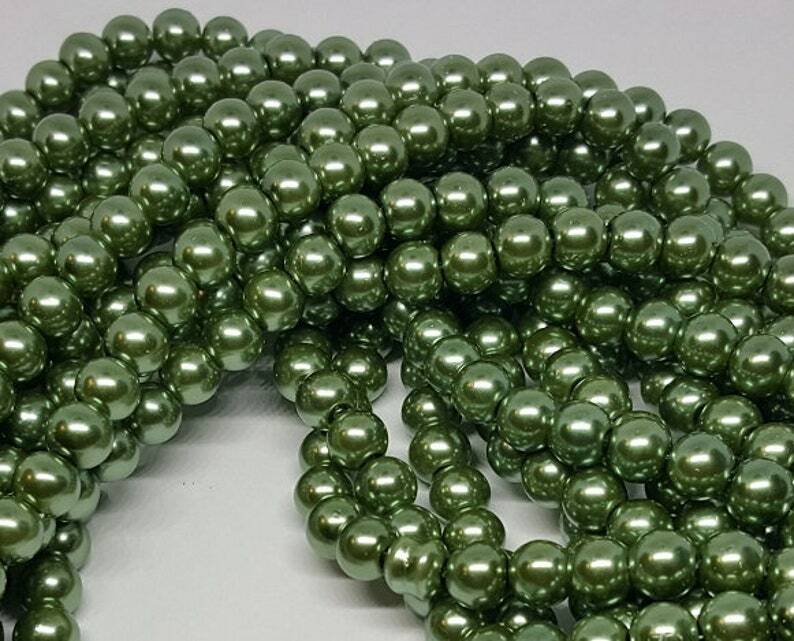 This is a unique color, Olive Green Glass Pearl Beads, Round, Dyed, pearlescent glass beads have olive colored coatings and are heated for a durable finish. *Color may vary slightly from dye lot to dye lot. Color might differ depending on your monitor. This color is one of my customers favorite.